Brock & Aaron hold down the proverbial fort on their own this week in an episode dedicated to clearing the desk of all the cool stuff they’ve learned about in the last month. We start out with talk about tux mayhem, train etiquette, and Indiegogo perks still to come! 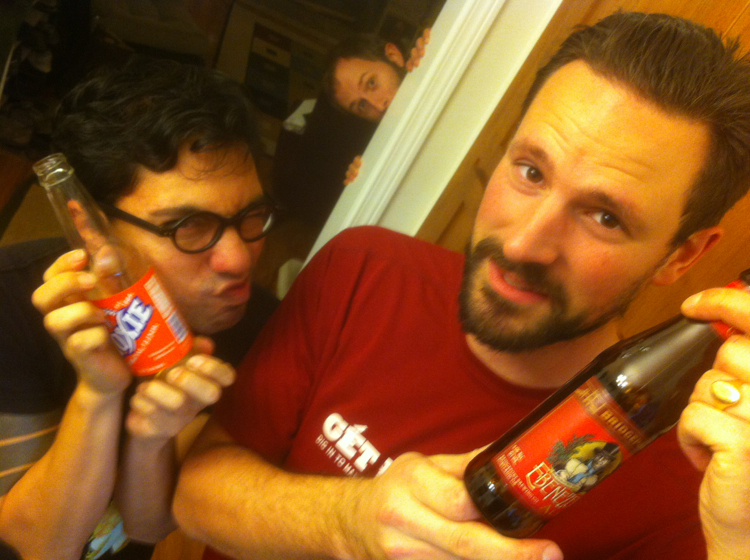 We drank Moxie & Bridgeport Ebenezer Ale. My Bike Won’t Fit Here! Aaron introduces a new segment this week. Pictures to be posted here when possible – check back. 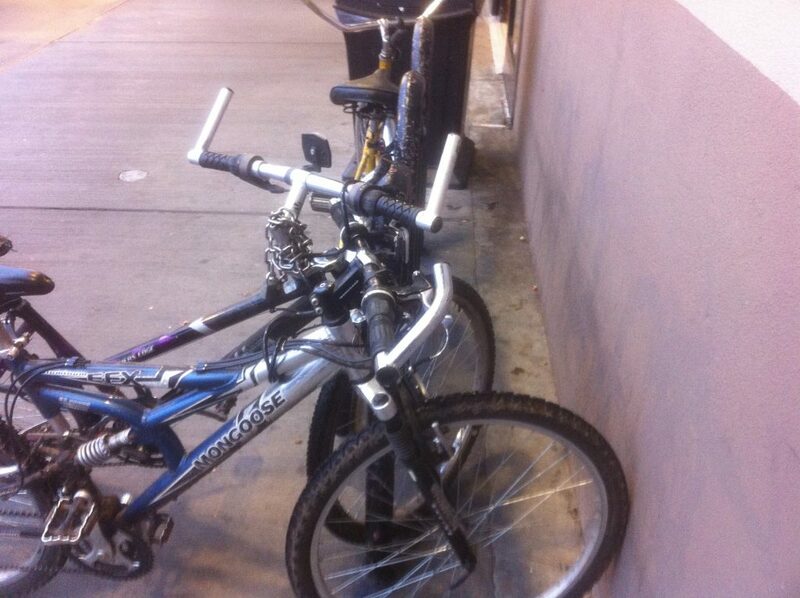 This week’s egregious bike parking: Fred Meyer! This is a photo from the Portland location at SE 82nd Avenue & Foster Road. Thanks to listener David, who works for the corporation, for a timely response to this observation! We’ll see what changes in the future. BBC News via Brandon: the Uruguayan president is living meager, but happy! Eric Krimmel wrote us about his new ebook “The Cross Country Adventures of the Blue Highways Cycling Elite,” a true story of three friends who embark on an 4200 mile bicycle trip across the USA, from Anacortes, Washington to Bar Harbor, Maine. It’s available on iTunes, Amazon, and Barnes & Noble. Dan in MN recommends Nick Mason of the League of American Bicyclists as an interview. Also, Dan just moved into his own tiny house that he built himself! Kevin from L.A. donates generously and says he can hook us up with Tall Bike Bobby. 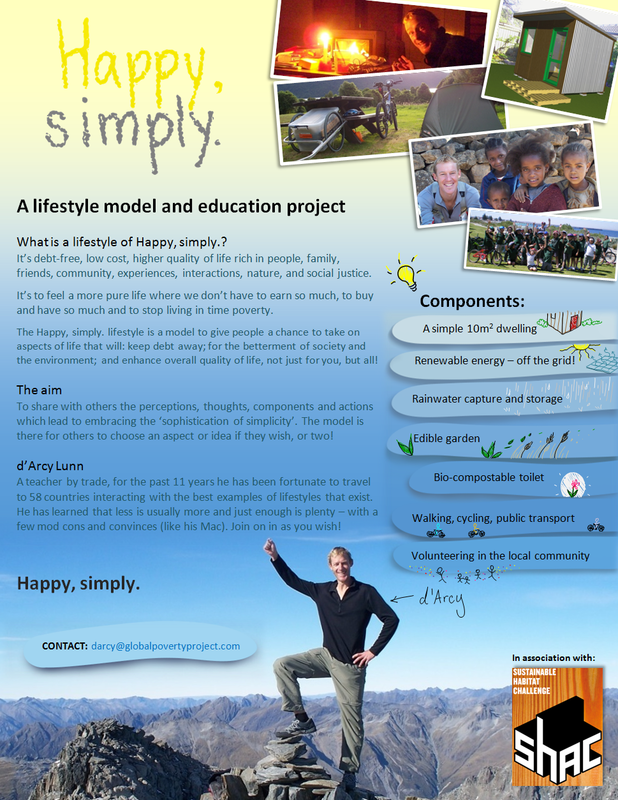 Thanks to Stacy from A Simple Six for recommending our show on Twitter.